File photo: Nepal PM KP Sharma Oli. 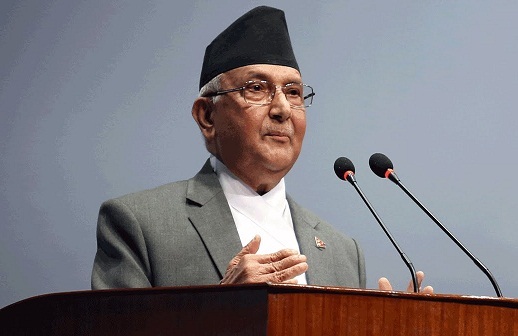 Nepal’s Prime Minister-in-waiting Khadga Prasad Sharma Oli has said that the new government in nepal will adopt zero tolerance attitudes in curbing the menace of corruption in the country. He was speaking at a programme organised by the left alliance CPN-UML in Kathmandu on Wednesday. Oli served as the 38th Prime Minister of Nepal from October 11, 2015 to August 3, 2016. 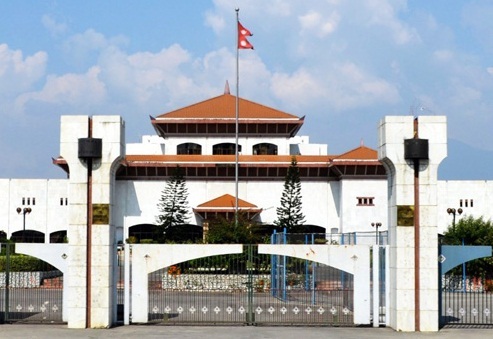 File picture of Nepal Parliament. Oli, who is also the chairman of the CPN-UML which has swept the recent Nepal elections, said that the new government would show the nation how corruption could be controlled. He said Nepal would be a model country in terms of development. The new government will also ensure that business in the country never faces any bureaucratic or political hurdle. He said bureaucracy should be positive about carrying out people-oriented activities. Oli said the new government would focus on ensuring good governance, promoting democratic norms and bringing prosperity to the country. Oli said that the new government would adopt progressive and socialist policies. He further said that the UML and the CPN-Maoist Centre would be merged as soon as possible and denied any differences between the CPN-UML and CPN-Maoist Centre over the merger process. CPN-Maoist Centre leader Narayan Kaji Shrestha said the merger of the two left parties was a historical necessity for achieving the goals of a prosperous Nepal. He said the formation of the new government and the process of merging the two parties should move simultaneously. The left alliance won six out of 10 FPTP seats in the House of Representatives and 16 out of 20 FPTP provincial seats in Kathmandu. Oli distributed certificates to the winning candidates.